A single serving Nutella and peanut butter flavored brownie that cooks in the microwave in about one minute. This easy dessert is just 4 ingredients. Happy Valentine’s Day! 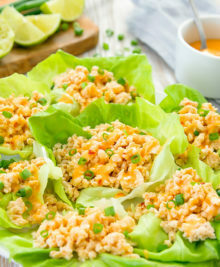 I originally had a healthy recipe planned to share with you today and then I realized it’s Valentine’s Day! So whether you are looking for a last minute dessert idea or you just need a treat, this easy brownie is the answer. 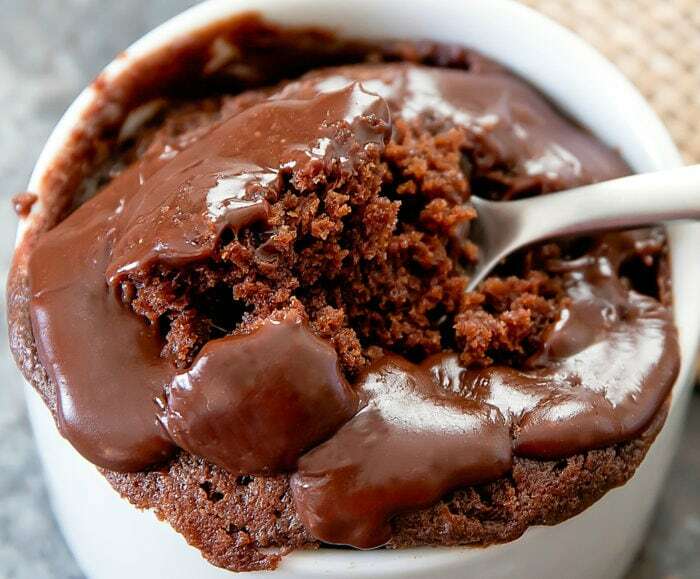 This is a variation of my 3 ingredient Nutella brownie mug cake. The brownie is chocolaty, with a hint of peanut butter. It is also fudgy and chewy. Since this is a brownie, it is not meant to rise that high. So I plated it in a ramekin so that you can see the brownie better. Because the brownie is not baked, it doesn’t get the shiny crackly surface that baked brownies have. The final result is quite plain, so I drizzled the top with a Nutella ganache, though it’s not necessary. You can also dust the surface of the cake with powdered sugar or chocolate syrup. Because the brownie will rise during cooking, it’s best to cook it in a mug and then plate it after into a small ramekin. If you try to cook it directly in the ramekin, some of the batter will spill out during cooking. For best results, use a regular size and shape mug. 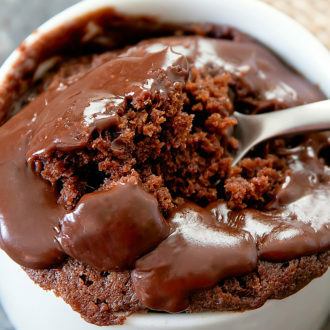 If you use an extra wide mug, your brownie batter will be thinner and you will need to reduce the cooking time. If you use a very narrow mug, the brownie will be very thick and may not cook evenly. Cooking time may vary depending on how powerful your microwave is and also how wide your mug is. The peanut butter flavor is subtle but you should be able to taste it. If you add too much peanut butter to the batter, the brownie is less fudgy and chewy. The Nutella ganache adds a glossy finish to the brownie but it does make the brownie taste mostly of Nutella rather than peanut butter and Nutella. If you don’t want to overpower the peanut butter flavor, you can decorate with powdered sugar or other toppings/decorations. A single serving peanut butter and Nutella flavored brownie that cooks in the microwave. Add all brownie ingredients into a microwave-safe mug that can hold at 12 oz of liquid. Whisk with a small whisk until batter is smooth. Cook in microwave at full power for about 55 seconds. If desired, you can plate the brownie into a small ramekin. 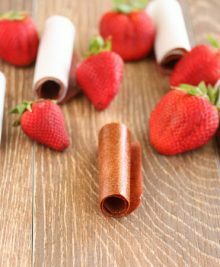 You can decorate with fresh fruit, powdered sugar, chocolate syrup or Nutella ganache. To make the Nutella ganache, add heavy cream and Nutella spread to a small bowl. Heat in microwave for about 15-20 seconds, or until heavy cream is very hot. Whisk until smooth. 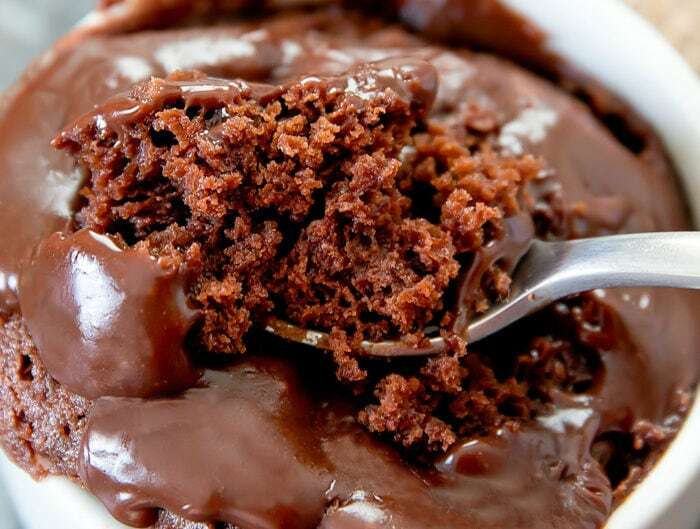 Pour ganache over brownie. Allow brownie to cool a few minutes before eating. 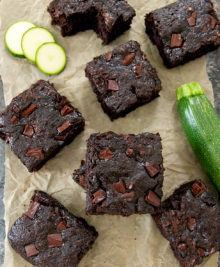 The texture of the brownie will become fudgier and chewier if you allow it to rest for a few minutes. 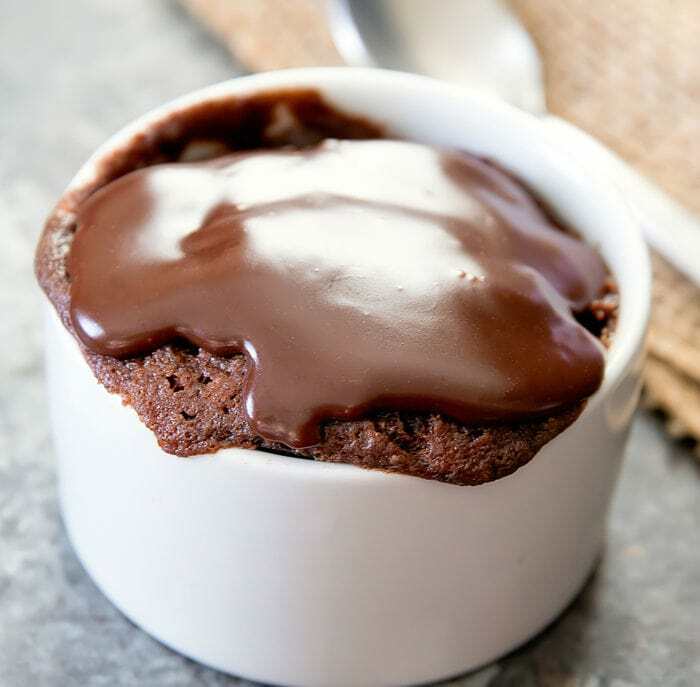 Because the brownie will rise during cooking, it's best to cook it in a mug and then plate it after into a small ramekin. If you try to cook it directly in the ramekin, some of the batter will spill out during cooking. The Nutella ganache adds a glossy finish to the brownie but it does make the brownie taste mostly of Nutella rather than peanut butter and Nutella. If you don't want to overpower the peanut butter flavor, you can decorate with powdered sugar or other toppings/decorations.